We are pleased to offer this blog on our products. The Henna White Coverlet collection features decorative pillows, a throw, and a duvet in the Coyote and Blush colorways. The Purists by SDH bed linens are a marvelous blend of the aesthetically beautiful and hypoallergenic qualities that people desire in natural bed sheets. #DefiningElegance #ThePurists With each collection certified Oeko-Tex, you can be confident that the Purists line of linens uses no chemicals of any kind in the entire fabrication process. The vegetable dyed or natural fiber coloring used in The Purists bedding duvets and sheeting gives these bedding collections their unique appearance. The Purists Doria features an abstract pattern created from vegetable-dyed fibers in a 100% organic cotton. 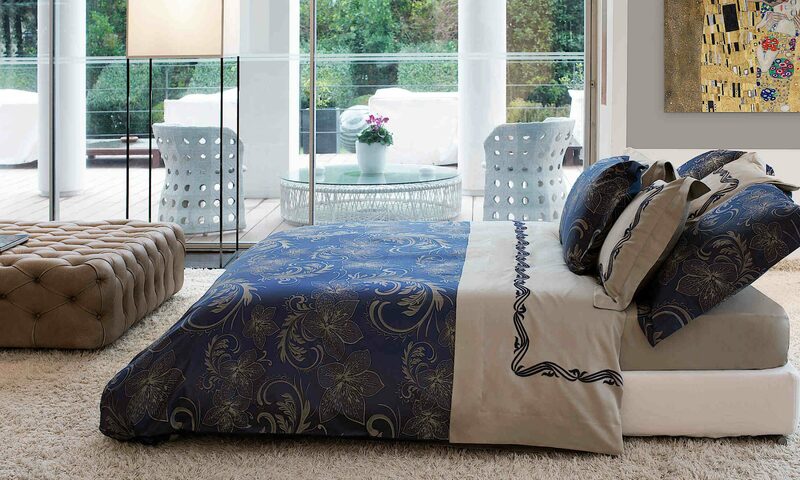 Shop DefiningElegance.com… fine European linens. fabulous finds. Finely crafted jacquards from SDH Bedding as shown on DefiningElegance.com are woven in Italy where craftsmanship is a time-honored tradition and weaving is an art form. #DefiningElegance #SDHLinens We love how many coordinates complement each collection so you can genuinely make your bedding ensemble your own. 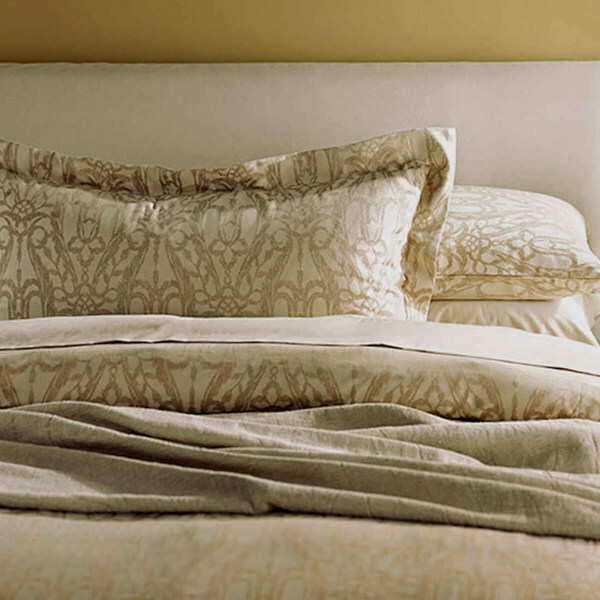 A great example that defines the luxury bedding of SDH Linens is the stunning Nautilus Bedding. This bedding creates a statement for anyone seeking a seashore motif with a subtle pattern and neutral color. 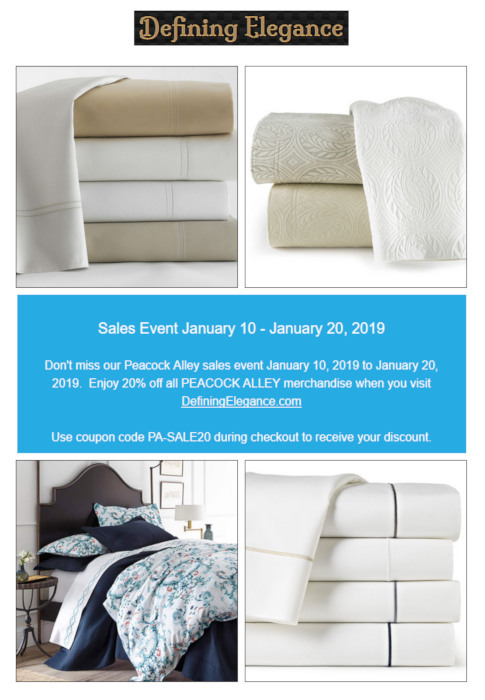 SDH Fine European Linens has a host of other elegant bedding styles as well as coordinating sheets, coverlets, and shams to help you create the perfect bedding ensemble. DefiningElegance.com…. for what suits your style and home. Please click here to view this #PeacockAlley event offered on #DefiningElegance. 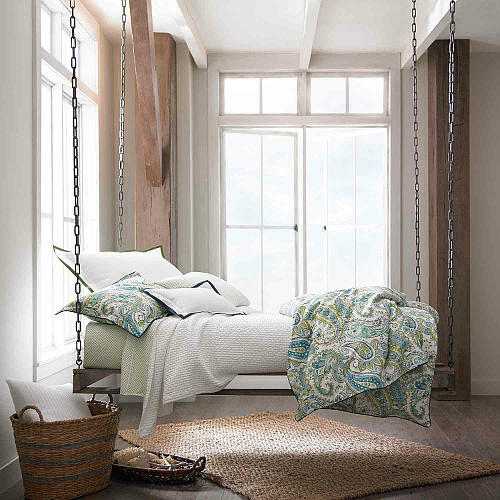 Peacock Alley’s Bari Bedding in a printed paisley is sure to rejuvenate a room with its cool and crisp allure. The paisley design dances with hues of aqua, blue, green and white, beckoning you to live in the color of your dreams. Bari is available as a duvet, sham and decorative pillow. Kimi is a brand new collection in “The Purists Bedding” line. 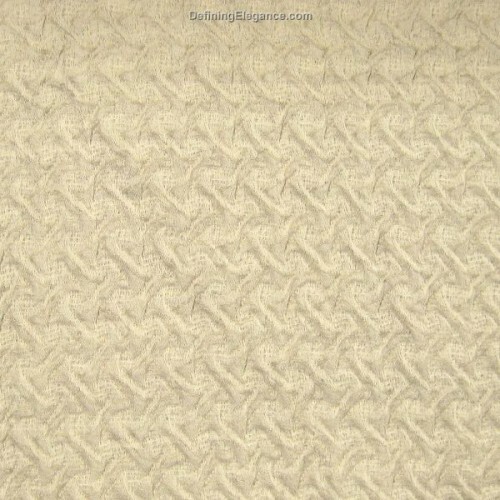 This jacquard boutis is beautifully woven with a raised pattern. The fabric color is derived from the natural colors of fibers from 80% Egyptian Cotton/ 20% Linen. Kimi is available as a duvet cover, coverlet, throw, sham and decorative pillow. Most bedding by The Purists unless otherwise noted, is known for being natural and not dyed. The fabric is comfortable and yet durable. Woven in Italy and fabricated in Germany with precision. 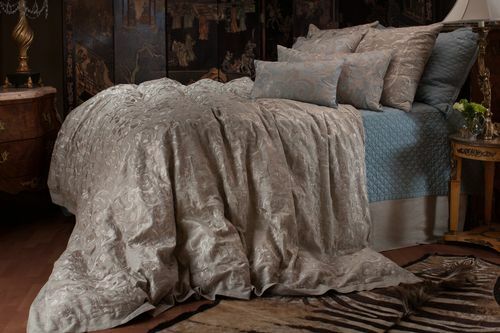 Sleep well tonight with ………..
What Mozart did for music, Lili Alessandra has done for bedding with this earth sheer linen with champagne embroidery. The flowing design portrays chromatic harmony with hues and contrasts. Grace your bedroom with the beauty of this classic bedding ensemble. Inspired by the Great Gatsby Era, this silk throw reflects the beauty and the sophistication of the roaring 20’s. 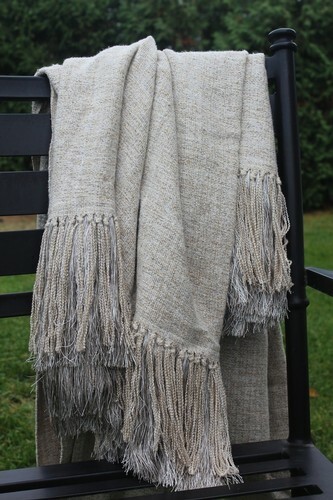 This silk throw is pure luxury to the touch and the mixture of fringes adds to its grander. Truly, exquisite LOVE, LOVE, LOVE!!!! Enjoy the luxury of yesterday – today! Evocative of the iconic royal residence of Albambra in Granada, Dransfield & Ross extracted the keynotes in a realization of this quintessential Moorish aesthetic bedding. The Albambra was created in the fourteenth century during what was perhaps the zenith of Moorish design and culture. The Moorish style of architecture incorporated a wide swath of influences from the broad territory that the Andalusian Moors at that time controlled in Europe as well as North Africa. There is a timelessness and sophistication about Moorish design that we find particularly relevant to our current global sense of the world. Dransfield & Ross paired this verde gris cotton velvet with ice color linen appliqued in a classic fret pattern for the duvet as well as shams and decorative pillows. Extracting and reducing the fret, they quilted this pattern on the velvet coverlet and on the shams for a subtle play of texture and geometry. 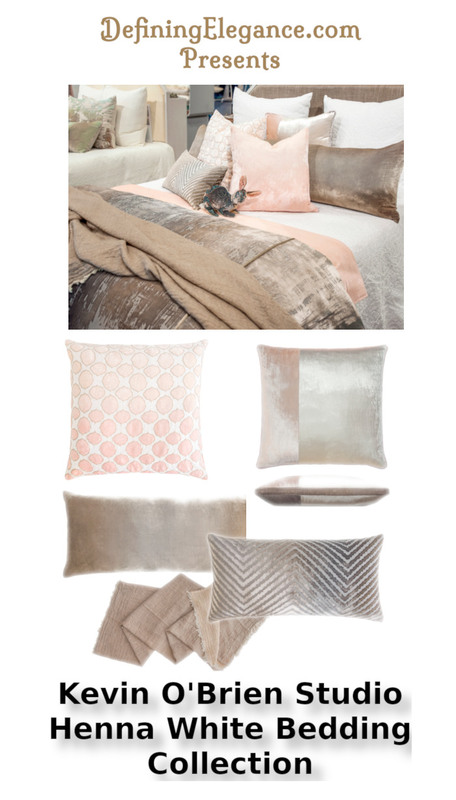 The decorative pillows in this collection include Dransfield & Ross’s silver glazed linen rag knit pillow, against appliqued fret in linen and cotton, velvet ribbon pillows in a modernist geometric application and their jeweled and embroidered pillow in a more organic design to juxtapose against mix of rectilinear textures. The bed skirt is tailored with a velvet ribbon border applique. As the earth rotates the sun’s rays radiates the surface and reflect back with different color hues depending on the intensity and the angle of the illumination. It is a beautiful site to witness whether from a mountain top or space. 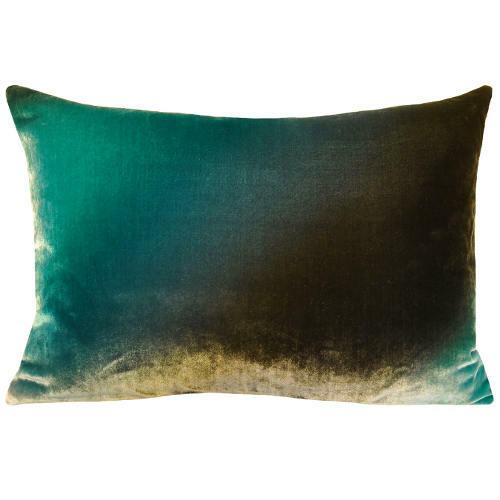 Kevin O’Brien Studios has created this effect with the Ombre Gradients Velvet Pillow. Each pillow is manufactured with a unique dyeing process that is luxurious to look at and touch. Available in eight different colors.